In practice, of course, life is not so simple. 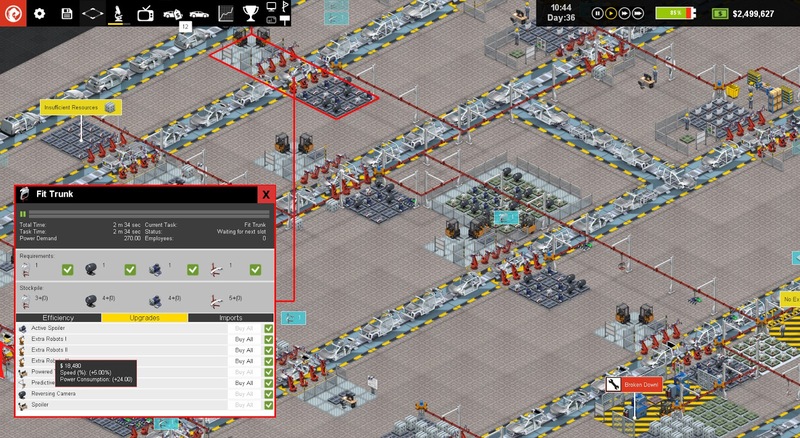 When you get to grips with your first factory design, it certainly will not feel in a state of pure flow...or profit for that matter. Making a handful of built-to-order cars and breaking even is one thing...but competing with the big multinationals and churning out thousands of cars for the mass market is a whole new ballgame. To win market share from the big companies you are going to need planning, an appreciation of future technology, a careful eye on your bottom line, and an ability to design a factory layout that makes use of every square meter, and cuts production costs per car to the absolute minimum. Have you got what it takes to win? The key to understanding production line is the division of labor and the merits of purpose-built machinery. 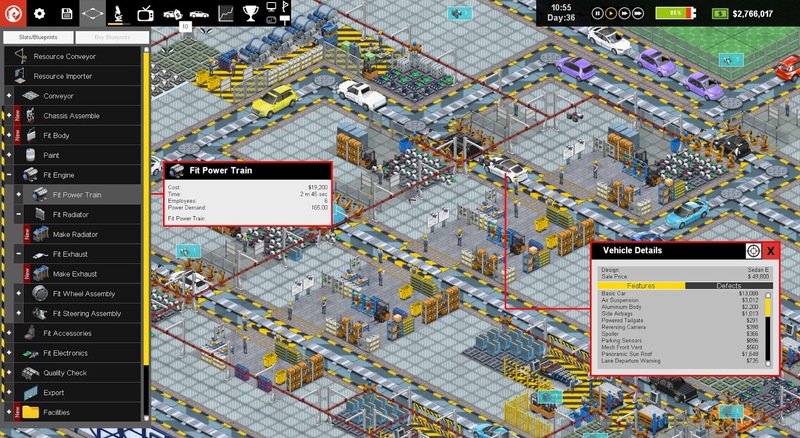 At the start, your factory will be small and the individual slots on your production line will carry out large complex tasks (like fitting the car body). 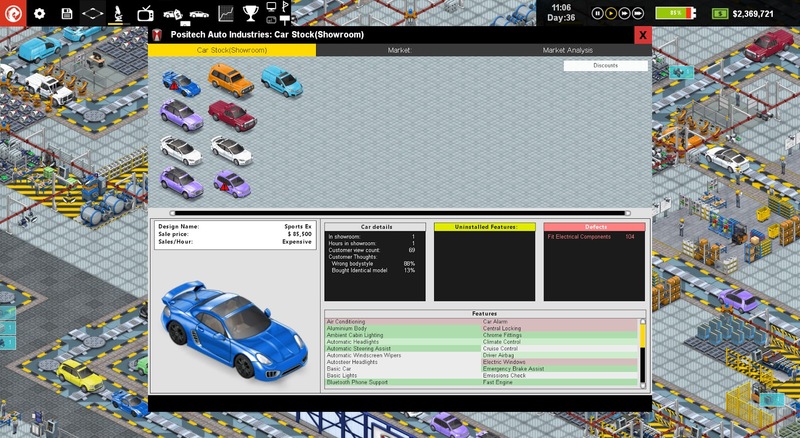 As you research better methods, and earn the funds to expand, you will continue to subdivide those slots into smaller (and faster) production areas which keep the flow of new vehicles flowing smoothly. At the same time, product design researchers will be working out how to enhance your cars with new technologies such as automatic headlights, power steering, bluetooth phone support and voice recognition.